Fortress Of Freedom Board :: View topic - Don Brasseur Finishes His "Maze Of Music" Album! Don Brasseur Finishes His "Maze Of Music" Album! 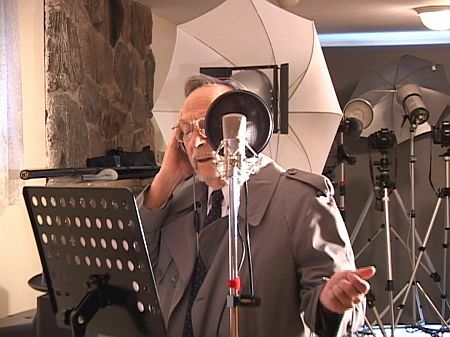 Posted: Wed May 02, 2007 5:10 am Post subject: Don Brasseur Finishes His "Maze Of Music" Album! The Fortress Of Freedom Corporation is pleased to announce that Donald "Boots" Brasseur has completed tracking of his latest album called "A Maze Of Music." 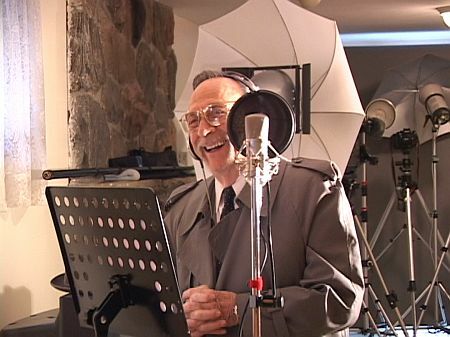 The WW2 veteran and accomplished musician came by for a few minutes to record some vocals right here at FOF studios for his final song called "My Friends" which is a song about global warming he wished to send to the Al Gore organization for possible use. The photos above and below show "Boots" having some fun laying down those particular tracks. Here he is belting out those vocals!